The aim of present study was to investigate Nodularia spumigena blooms intensity and their toxin concentration and biochemical characters in King Talal Reservoir. The time of the seasonal maximum intensity of this type of cyanobacterial blooms vary significantly from month to month during 2003. The maximum intensity of the bloom was from 30th of July-30th of Aug. The LD50 of nodularin in Balb/C mice was 44 μg kg-1 body weight (b.w.) and the maximum concentrations of nodularin in King Talal Reservoir water were 0.455 μg L-1 on 30th of July, 0.46 μg L-1 on 1st Aug and 0.45 μg L-1 on 30th of Aug. Therefore, it is considered as a potent biotoxin. By using NMR, it has shown that the structure of this peptide is similar to that found by others in other places of the world and biochemical studies on this toxin showed that more than 50% inhibition of PP1 occurred at these concentrations. S. Al-Jassabi and A.M. Khalil , 2004. First Report on the Identification of Nodularin from King Talal Reservoir (Jordan). Journal of Biological Sciences, 4: 559-563. An, J. and W.W. Carmichael, 1994. Use of a colorimetric protein phosphatase inhibition linked immunosorbent assay for the study of microcystins and nodularins. Toxicon, 32: 1495-1507. Annila, A., J. Lehtimaki, K. Mattila, J.E. Eriksson, K. Sivonen and T. Drakenberg, 1996. Solution structure of nodularin. J. Biol. Chem., 271: 16695-16702. Beattie, K.A., K. Kaya, G.A. Codd, 2000. The cyanobacterium Nodularia PCC 7804 of freshwater origin, produces nodularin. Phytochem., 54: 57-61. Carmichael, W.W., 1992. A status report of planktonic cyanobacteria (blue-green algae) and their toxins. United States Environmental Protection Agency/600/R-92/079, pp: 32-33. Choi, B.W., M. Namikoshi, F. Sun, K.L. Reinhart and W.W. Carmichael et al., 1993. Isolation of linear peptides related to the hepatotoxins nodularin and microcystins. 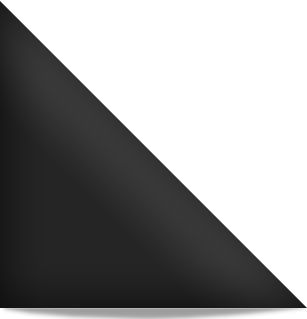 Tetrahedron Lett., 34: 7881-7884. Ding, W.X. and C.N. Ong, 2003. Role of oxidative stress and mitochondrial changes in cyanobacteria-induced apoptosis and hepatotoxicity. FEMS Microbiol. Lett., 220: 1-7. Ding, W.X., H.M. Shen and C.N. Ong, 2000. Microcystic cyanobacteria extract induces cytoskeletal disruption and intracellular glutathione alteration in hepatocytes. Environ. Health Perspect., 108: 605-609. Falconer, I.R., J. Bartram, I. Chorus, T.K. Goodman and G.A. Codd, 1999. Safe Level and Safe Practices. In: Toxic Cyanobacteria in Water a Guide to their Public Health Consequences Monitoring and Management, Chorus, I. and J. Bartram (Eds.). WHO., London, pp: 155-178. Hallegraeff, G.M., D.M. anderson., A.D. Cembella, 2003. Manual on harmful marine microalgae, monographs on oceanographic methodology. Paris United Nations Educational, Scientific and Cultural Organization, pp: 303-374..
Harada, K.I., 1995. Chemistry and Detection of Microcystins. Toxic Microcystis, CRC Press, Boca Raton, New York, London, Tokyo, pp: 103-143..
Harada, K.I., K. Tsuji, M.F. Watanabe, F. Kondo, 1996. Stability of microcystins from cyanobacteria, effect of pH and temperature. Phycologia, 35: 83-88. Lee, T., Y. Chen and H. Chou, 1999. Toxicity assay of cyanobacterial strains using Artemia salina in comparison with mouse bioassay. Acta Zool. Taiwan, 10: 1-9. Lehtimaki, K., 2000. Characterization of cyanobacterial strains originating from the Baltic sea with emphasis on Nodularia and its toxin nodularin. Ph.D. Thesis, Univ. Helsinki, Finland. Lehtimaki, K., J. Rapala, M. Fardig, M. Niemela, K. Sivonen, 1997. Persistence of cyanobacterial hepatotoxin microcystin-LR, in particulate material and dissolved in lake water. Water Res., 31: 1005-1012. Mazur, H. and M. Plinski, 2003. Nodularia spumigena blooms and the occurrence of hepatotoxin in the Gulf of Gdansk. Oceanologia, 45: 305-316. Moore, R.E., G. Rocop, S.W. Chisholm, 1998. Physiology and molecular phylogeny of coexisting Prochlorococcus ecotypes. Nature, 393: 464-467. Moore, R.E., T.H. Corbertt, G.M. Patterson, F.A. Valeriote, 1996. The search for new antitumor drugs from blue-green algae. Curr. Pharm. Des., 2: 317-330. Ohta, T., E. Sueoka, N. Iida, A. Komori., W.W. Carmichael and H. Fujiki, 1994. Nodularin, a potent inhibitor of protein phosphatases 1 and 2A, is a new environmental carcinogen in male F 344 rat liver. Cancer Res., 54: 6402-6406. Paczuska, L. and A. Kosakowska, 2003. Is iron a limiting factor of Nodularia spumigena blooms. Oceanologia, 45: 679-692. Patterson, G.M.L., L.K. Larsen and R.E. Moore, 1994. Bioactive natural products from blue-green algae. J. Applied Phycol., 6: 151-157. Sakar, M.L., B.A. Neilan and D.J. Griffiths, 1999. Two morphological forms of Cylindrospermopsis raciborskii isolated from Solmon Dam, Palmisl and Queensl. J. Phycol., 35: 599-606.